"April Food Day . . . "
I've only been a part of the blogging community for just over 6 months and am still amazed at the the fantastic people that I've met. 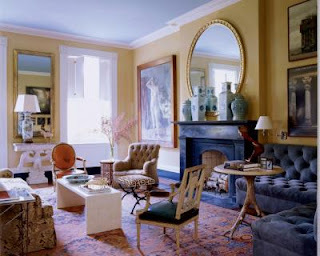 Usually, I'm just here to share pictures of interiors that delight and inspire me. And vent about the struggles of the design business, lol. Today's gonna be a bit different. Today, let's put our blogging network . . . to work. Today, I would like to join with Elegant & Easy Life and Pigtown*Design to do what I can to wipe out the crisis with food banks here in the US. As we all know, these are tough times for a great many people in our nation. "People who never had a worry in the world now have to think about where their next meal is coming from. People who never would have dreamt that they would need help are now showing up at local food banks. But when they get there, the shelves are bare. There is not enough food being donated to meet the sudden rise in demand. There is not enough money to buy food for the food banks. There is not a general understanding that food banks need help to help fill their shelves." Please help me in supporting the "April Food Day-Bloggers Fighting Hunger" program by contributing to "Feed America" at the link provided. "A gift of $25 provides 75 meals. We can make a huge difference in our communities." I've been spending several nights over the course of the Lenten season donating my time working for a local food bank here in the bay area sorting and organizing the food which has been donated. And I can report that donations are decreasing. What can you do? Contribute, if you are able. Even $1 can begin to make a difference. or make "April Food Day" your blog post for today or tomorrow. or simply provide a link to "April Food Day" on your own blog. Together we can make a huge impact. I hope everyone has a great weekend planned. I have a to-do-list that might rival the size of the federal tax code. But, I digress . . . . Whenever I'm feeling overwhelmed by a project, I try to take refuge in some good design. And, heaven bless Miles Redd for being there for me this morning. The delightful Mr. Redd's projects always exhibit such exuberance and unabashed joy. 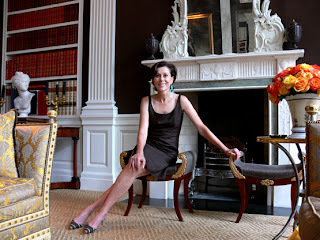 "In the parchment-colored living room - - where Redd installed a button-tufted corner banquette to augment the armchairs ad deep sofa - - the interior is spirited, from a white painted console with a impressive eagle base to a neoclassical fauteuil to a bronze table whose pedestal is in the shape of a gnarled branch." oh, and yeah, this was my place last night at midnight. The new carpet for my bedroom came in yesterday. So most all of my furniture is piled in my study while I get the new floor covering down in my bedroom. lol. "Need to vent . . . "
Those of you in the design business (or anyone who has ever ordered anything that was not readily available from a showroom floor) know that certain things are never actually true. "We mailed your samples yesterday." most likely means that the aforementioned 'we' is on the way to the post office right then. "Back-order should take about 10 - 12 weeks." more likely 14 - 18 weeks. "It'll be there by Friday." yeah, right. So here's the back-story: The custom ottoman that I ordered for a new, and wonderful, client about 7 weeks ago, was going to be ready for delivery in 4 weeks. (this already looks bad, doesn't it? ), it was picked up by the delivery service only to discover that they had made the wrong ottoman and needed to start over. Custom carving, custom stain, custom, custom, custom . . . and would be ready in two weeks. The new (second) ottoman was completed last Thursday and ready for pick-up with delivery this week. It was picked-up on Tuesday from LA and on its happy way up the west coast for delivery in SF today. When I called this morning to confirm delivery time, I was informed that it was actually being picked-up in LA right then, whilst I was on the phone, and they couldn't confirm delivery time until next week. I just wish someone (anyone!) had told me what was actually going on. I would have happily, really, flown to LA yesterday, rented a small truck, zipped over to Disneyland for a few hours (Matterhorn, Pirates, Indiana Jones), swung by and picked-up the ottoman, drove to SF, and delivered it last night . . . but no. I'm spending my day trying to accomplish what seems like the easiest of tasks - having a delivery service - deliver something. Whew. just needed to scream for a moment. lol. We now return you to your regularly scheduled Thursday. "Come to the dark side . 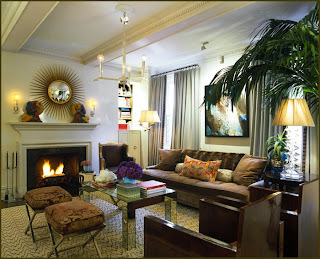 . . "
Love this dark, dramatic New York residence designed by the brilliant Robert Passal. Love the dark wall treatment. Love the artwork. 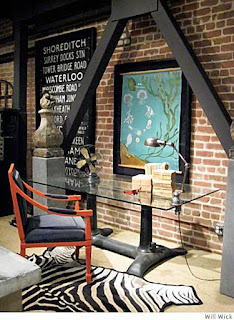 Love the architectural details. 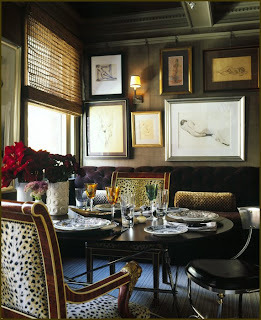 And who doesn't love a chocolate brown button-tufted banquette ? 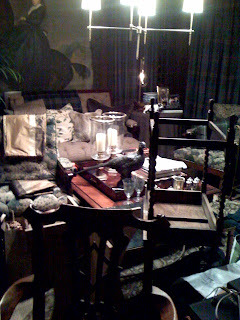 I've been working madly getting my place ready for next Wednesday's shoot, and this has truly been inspiring. Quirky, elegant, fabulous. Those dogs on the fireplace mantel are flawless. 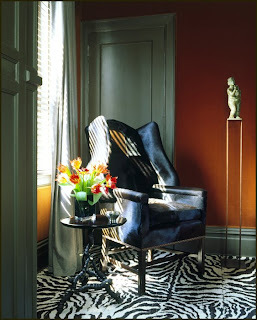 There is such an inherent drama in spaces with darker wall treatments. It gives the light greater contrast. and some beautiful details from the dining room. Love the table service and the flowers are perfect. for more information in Robert Passal. "Intentionally Neutral . . . "
Once again, it's time to start a new week. And once again, we have one more amazing weekend house to tour through before returning to our regular weekday schedules. "The spot that visitors and the owners alike gravitate to most is the library, a formerly low-ceilinged space that has been opened to the rafters. 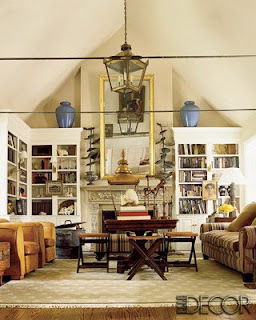 That impressive alteration not only gave the room a breathtaking scale, it necessitated the installation of steel tension cables that stretch from wall to wall to keep everything from collapsing." 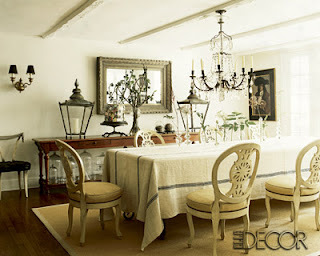 Love the colour palette in this dining room. Simple sisal floor coverings. 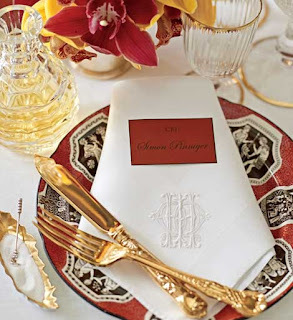 Simple table linens. 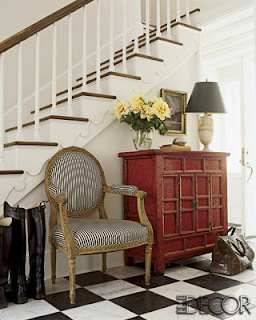 Great use of colour in the entryway. 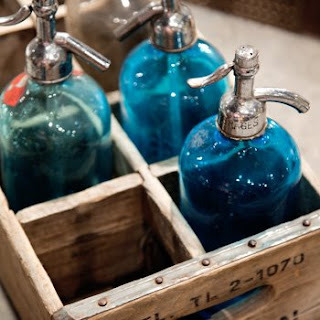 "When the weekend rolls around, award-winning accessories designers Richard Lambertson and John Truex leave Seventh Avenue behind for their handsome house in the Berkshires." 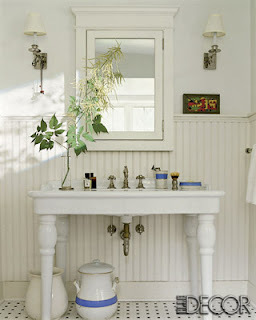 Speaking of simplicity, love the details in the bathroom. 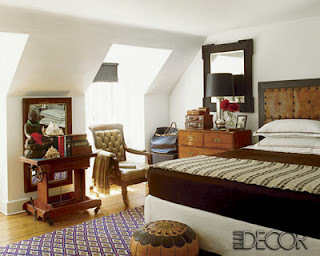 for the complete article from Elle Decor. Personally, I'm in need of a little bit of relaxation after a long week. Unfortunately, Jim Burrows (prolific director of such hits as "Will & Grace," "Cheers," and "Fraiser.") didn't invite me to his marvelous home in Millbrook, NY for the weekend . 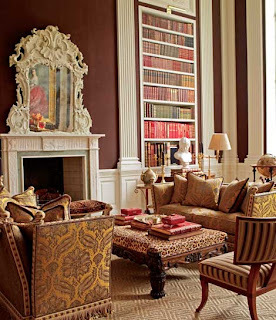 . . but I can travel a bit through the magic of Elle Decor.
" 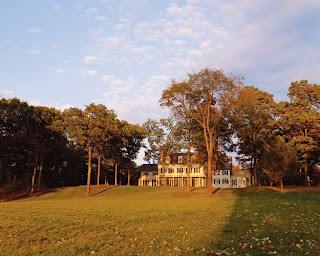 The Colonial Revival house took three and a half years to design and build and was completed in 2007. "It was an ordeal, but we love it up here," Jim says of the five-bedroom, 9,000-square-foot structure created to feel like an old farmhouse." 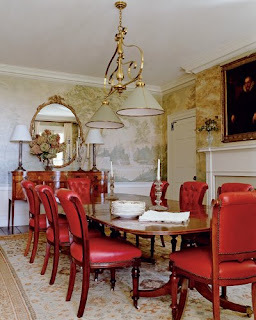 "For the Dining Room, the decorator selected an old-fashioned billiard-table light overhead and a glossy mahogany Georgian dining table, adding red tufted-leather dining chairs for a jolt of color." And who might that 'decorator' be ? Well, clearly, we're in another Michael Smith project. A library filled with great book and great light.
" . . . a liberal dose of wicker, and primitive American furniture 'make you feel like you're in a transitional area between the outside and the inside,' Smith says." Maybe a place for an afternoon snack after riding all day ? Wow. yet another great bathroom. 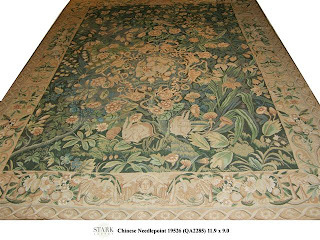 "On the second floor, exquisite 18th-century-styled chinoiserie wallpaper with tree peonies and bright=plumed birds is installed in the master suite's bedroom and sitting room." "Pick and Choose . . . "
I've got one of those ubiquitous crazy-busy days today, but wanted to get you some updates on things in the 'tartanscot' world. 1. 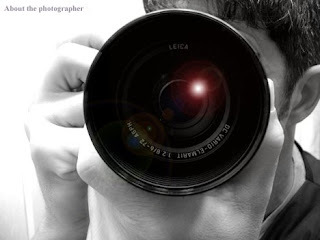 Photographer is booked for April 1 for my place. 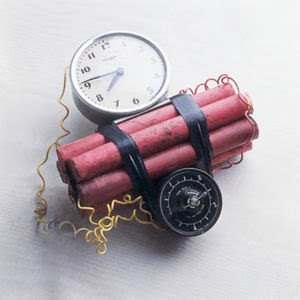 Yes, I'm shooting my house on 'April Fool's Day.' It's either a sign of a fun day - - or the harbinger of doom. Things are coming along rather nicely. Just waiting to get the new sconces installed in the bathroom. 2. Big delivery for a client this afternoon. Hopefully, the freight elevator will be back up and running by noon. Or it's gonna be a long day. Fingers crossed. lol. 3. I hate the new facebook homepage. There. I said it. I'm attempting 'twitter.' We'll see. 4. Yay! I think this is going to be the new carpet for my bedroom. Chinese needlepoint. Perfect colours. Fabulous. "Southern Comfort . . . "
As previously stated, I've got a new computer (which I love) and I've been culling through all my transferred image files trying to re-organize them into a usable format - the good news is that I've been re-discovering some of my favourite images. These shots were from a recent "Southern Living" and were designed to show some of the best details of southern living and southern style. 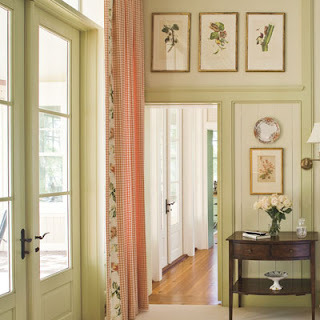 I grew up in Mississippi and my heart still stirs at the sight of these gracious, elegant interiors and I love the simplicity of the 'stem' green/ivory colour story. Ooooo . 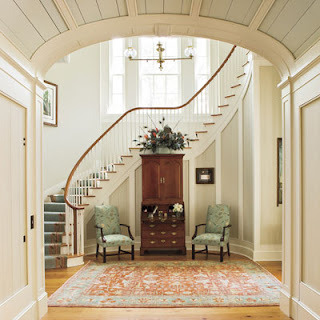 . . just look at that ceiling height (a must for the ubiquitous southern heat). 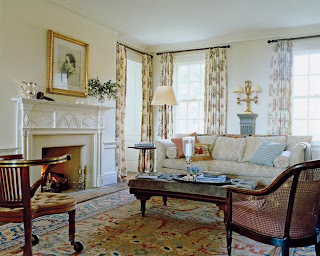 I might have done something different with the window treatments, but loving all the french doors. You've got to love a bank of floor to ceiling windows allowing the light to flood into this beautiful family room. and, yes, we have another charming bathroom. I love the idea of that hammock on the back porch just waiting for a big white bathrobe and a good book. "The Talented Mr. Smith . . . "
My infatuation with the madly talented Michael Smith has been fairly well documented. 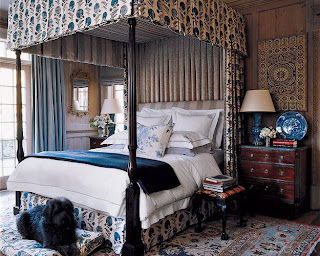 For me, he is the perfect hybrid of classic English design and modern American style. 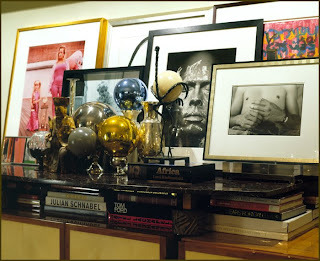 Following is a quick tour through his amazing home in southern California. 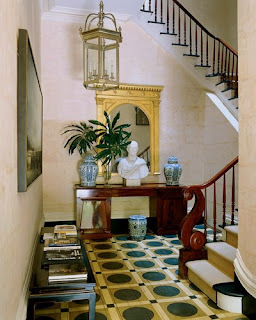 A charming collection blue and white vessels display the bounty of the garden in the entry. 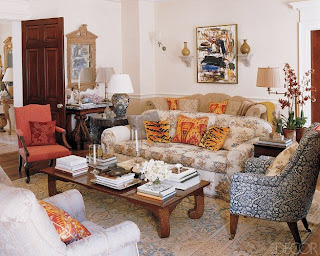 "'I am such an Anglophile,' says the designer, who admits with a laugh that he occasionally says 'drawing room' when he means living room." I recall Mr. Smith (I had the pleasure of hearing him speak last month) related his love of canopy beds. He loves the sense of privacy and comfort that they create. Seriously, who wouldn't want to face the day waking up in this lovely space. 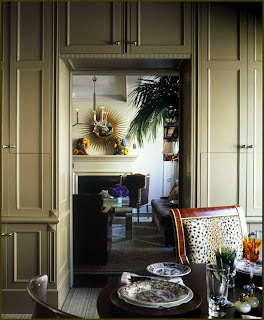 "In the master bedroom, a Sony flat-screen TV perches on a ducal-quality gilt-and-marble console. Even the beds have allure, each a tumble inviting jumble of crisp Porthault linens, chintz cushions, curious fabrics from Morocco, and sprightly pillowcases from India." "People think California is all about guacamole and Eames furniture, but we have a big tradition of pretty houses, too. 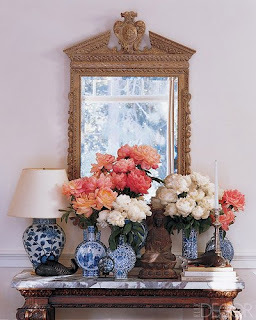 One of my favorites things Joan Didion ever wrote was about California style with needlepoint rugs, potted orchids, and Rigaud candles. That pretty much sums this place up." and seriously, this might be one of the most beautiful bathroom I've ever seen. The free standing bathtub actually faces french doors leading to the garden. And you've got to love a man with well-organized closets. lol. "That which does not kill you . . ."
I hope everyone is planning (or already having!) a great weekend. I know we all have our 'regular Saturday rituals' and mine is a morning workout with Koi Fitness. I've been training with Koi for about 2 years and can't imagine starting my day any other way. We meet most morning before dawn in Golden Gate Park to engage in a , shall we call it 'lively,' workout with some of the most amazing trainers that I ever had the opportunity to work with. Good news - Saturday. 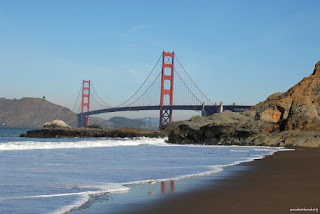 On Saturday we meet at Baker Beach (yes, the beach pictured above) and 'run-sprint-sit-up-push-up-run-side-plank-crunch-sprint-yoga-stretch' for about an hour. 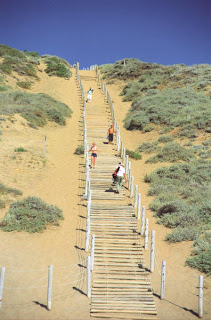 Bad News - the Baker Beach Sand Ladder. This is what greeted us this morning. It's a tough run to the top if this thing (and, yes, there's more of it past the horizon line in that image . .. lol). It's really tough to run it twice. Today, we ran (well, and walked, and at times stumbled up) it 6 times. (and, yes, Joe, Peter, Dave, Brighton, and John ran it 7 times - whatever!) Ugh. I think the best part of the entire bootcamp program is that you never quite know what you might be capable of until some tells you to do something, and you realize that you're just going to have to do it. Six times up. Six times down. with an untold number of push-ups and crunches and side-planks mixed in between. For me, it's a great metaphor for life. You'll never know what you can accomplish until you just start something with the clear knowledge that you are just going to have to finish it. So, pick something you think is impossible. And - - - - - "GO !" 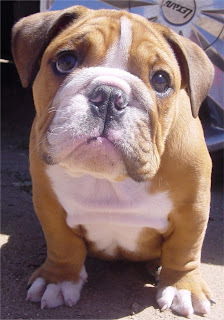 "Meet me at Battersea . 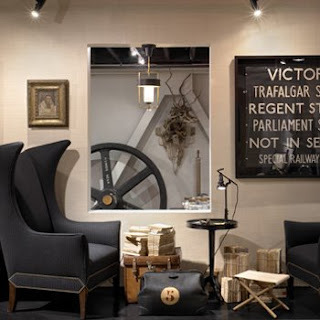 . . "
The design district was all a-buzz last evening with the grand opening party for Will Wick's amazing Battersea. The event was stunning. 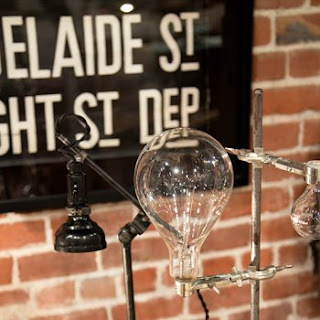 The retail space on the first floor was packed with 'finds' from around the world; vintage artwork, fantastic lighting, daring accessories, and furniture from across the globe. The evening also included a ride up in a darkened freight elevator to the Wick Design Group offices (on the 3rd floor of the building) to find the large, open-plan space with a jazz combo and fantastic nibbles. "Wick has a knack for subtly re-purposing objects or reviving a piece of furniture with new upholstery. 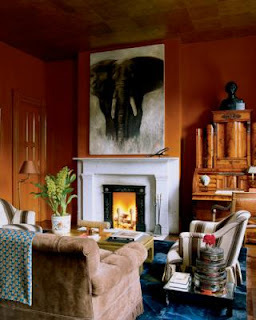 'I like to give antiques a more contemporary look' "
"Battersea's ever-changing mix might include dental cabinets, African tribal hats, French textbooks, London bus scrolls and American folk art that he's unearthed at flea markets and auction houses around the United States and the world." Next time you're in San Francisco, be sure to stop by. You're sure to find the perfect thing! "Roehm . 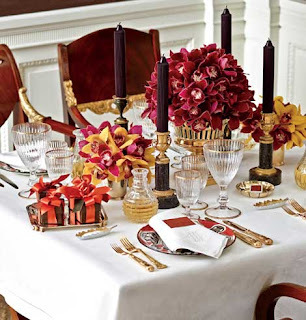 . . if you want to"
I've always been a big fan of the lovely and ever-gracious Carolyn Roehm. Stylish. Chic. Sophisticated. She may be one of the few people on the earth who has more china and stemware than I do . . . lol. The images (from various sources-the 'good news' is I have a new computer. the 'bad news' is that when I transferred my image files, I lost some of my source details. ugh. sorry.) are of her amazing place in New York. Love the chocolate walls. And, clearly, she sets an amazing table. "Join me outside . . . "
"Sidebar . . . "
"Let there be . . . "
"Embrace me . . . "
"Before we start our day . . . "
"Nose - pressed firmly to grindstone"
"Count to Six . . . "